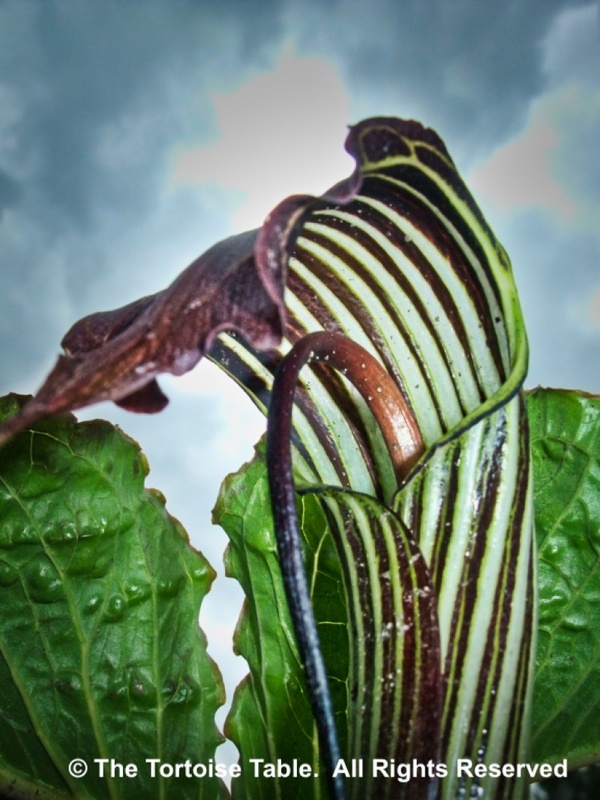 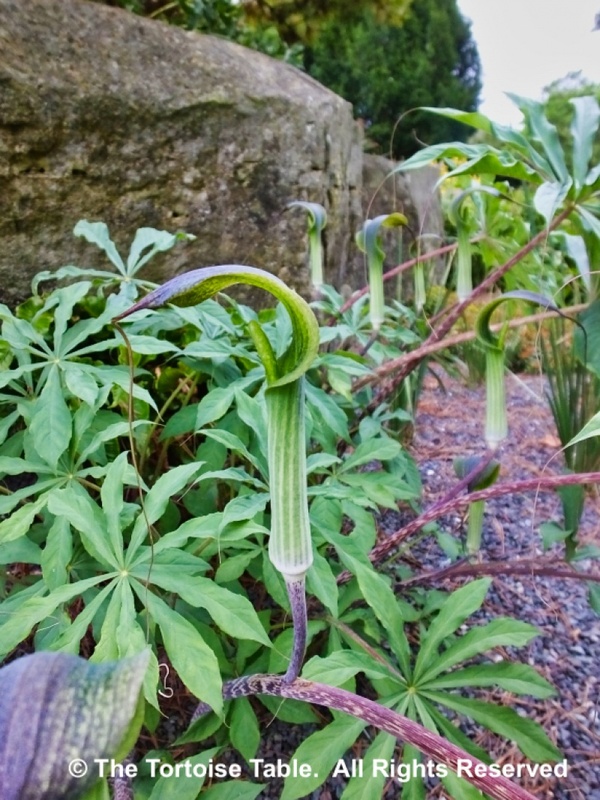 All parts of Arisaema contain oxalic acid and sharp calcium oxalate crystals (Raphides), which can irritate and can damage the soft tissues of the tongue and throat if eaten. 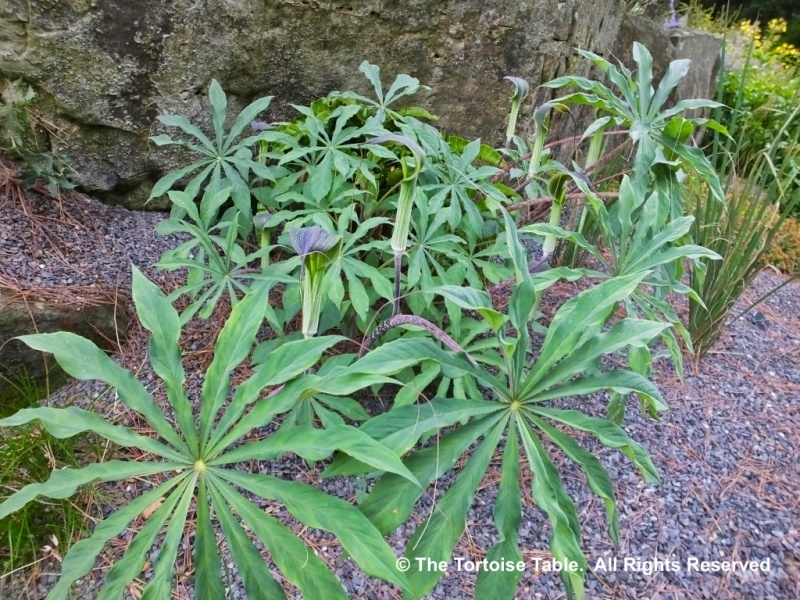 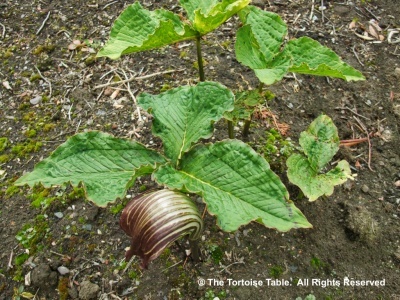 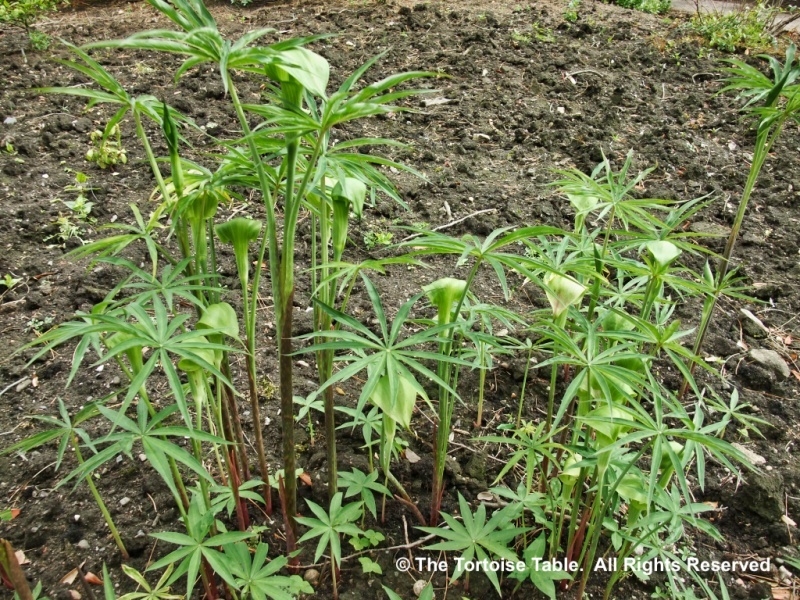 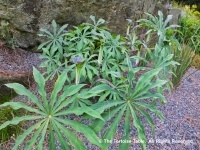 We therefore do not advise including this plant in the tortoise diet. 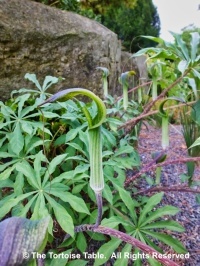 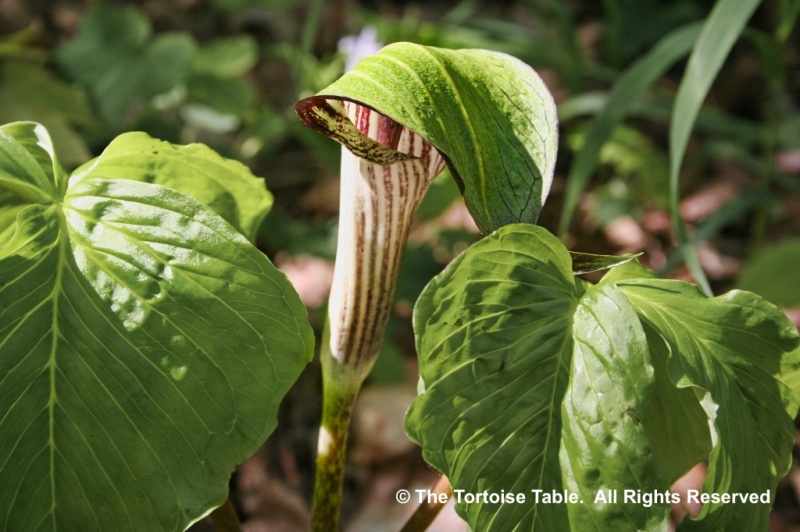 Do not confuse with the other plant called Jack-in-the-Pulpit (Lords and Ladies), which is a close relative, or with the carnivorous plant called Cobra Lily, which is a completely different plant from a different family.